Nationwide, alongside VCCP and MEC, won the Social Storytelling category at Campaign's 2017 Marketing New Thinking Awards, in association with Sky Media, by creating a real-time conversation around Mother's Day with an added dash of poetry. Motherhood is a highly emotive and personal subject. Building society Nationwide wanted to highlight the idiosyncrasies and generalisations associated with the theme. Its "#GotThisFromMum" campaign, part of its wider "Voices, Nationwide" activity featuring the voices of real people, created a real-time conversation around Mother’s Day 2017. 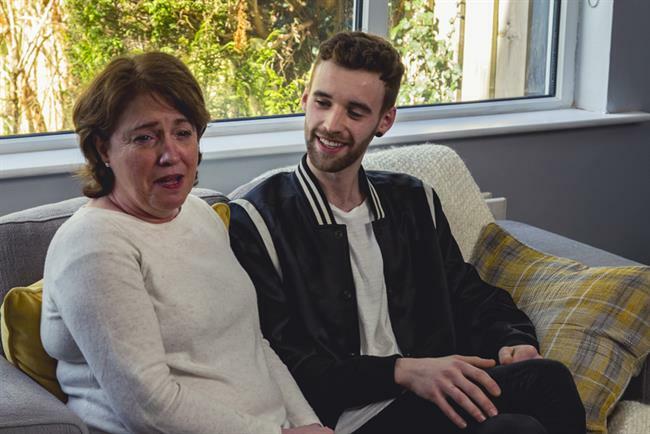 Nationwide worked with agencies VCCP and MEC to collate user-generated stories from Facebook and Twitter about the public’s relationships with their mums, gathered via the hashtag #GotThisFromMum. The building society replied with bespoke poems, written by poets and filmed in a newsroom in the five days leading up to Mother’s Day. A total of 36 audiovisual, 12 static and six handwritten poems were produced. The campaign culminated in one poem, ‘"Hands", based on the story of Gavin Kelly in Belfast and read by poet Laurie Ogden, being featured in a live TV ad, created in less than 24 hours. This was filmed in Belfast and broadcast on Mother’s Day. "The easy option would have been to write our own script and do the traditional casting, but that wouldn’t have been authentic to the ‘Voices Nationwide’ campaign," explains Sara Bennison, chief marketing officer at Nationwide. "We turned to social media as a quick and effective way for everyday people to share their own inspiring stories about their mums." Bennison adds that the campaign demonstrated the power of combining consumer engagement through social media with the broadcast reach of traditional channels. VCCP cited the emotional experience that seeing the reaction of Kelly’s mother as the poet Laurie Ogden recited ‘Hands’ engendered, a response that most branded content rarely elicits. This was Nationwide’s most successful social campaign to date, cumulatively receiving more than three million views and engagements, 95% net sentiment and reaching more than 5.5 million people.